Robert Dayle Schnelle was born July 30, 1916 to Robert Wesley and Wava Ann Davis Schnelle in Sharon, Barber County, Kansas. He preferred to be called by his middle name and even alternately reported his name to be Dayle Robert Schnelle. Dayle’s father Robert was born March 17, 1884 in Lemons, Missouri. Dayle’s mother Wava was born August 9, 1884 in Kansas. In the 1920 Federal census record, the Schnelle family lived on a farm in Medicine Lodge, Barber County, Kansas. The family consisted of father Robert (33), who was a farmer, mother Wava (33), sister Dorene (8), sister Florence (7), Dayle (3), and brother Floyd (2). On October 5, 1920, Dayle’s mother Wava gave birth to twins, Fred and Phillip Davis Schnelle. 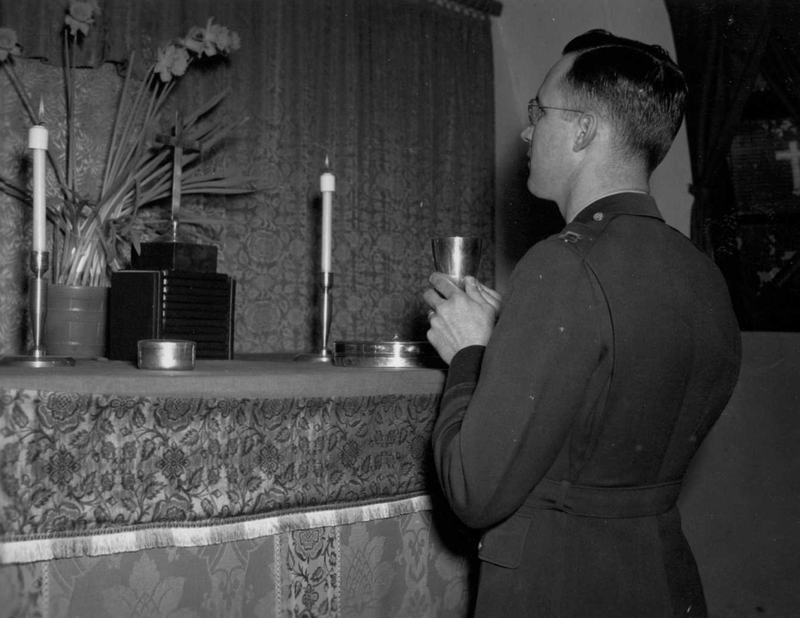 Four days later, on October 9, Wava and baby Fred died. In the 1930 Federal census record, the Schnelle family lived in Sharon, Barber County, Kansas. The family consisted of Dayle’s father Robert (45), who was a farmer, step-mother Emma (36), sister Dorene L. (18), sister Florence M. (16), Dayle, listed as Robert D. Jr. (13), and brother Floyd R. (12). Although Ancestry.com records indicate that Dayle’s younger brother, surviving twin Phillip, lived until 2003, Phillip is not listed on the 1930 census. Sometime between 1920 and 1930, Robert remarried. (Note the discrepancy in Robert’s age: if he was 33 in 1920, he should have been 43 in 1930). From at least 1935 to 1938 Dayle was a student at Phillips University in Enid, Oklahoma. He likely also attended Phillips in 1934 or 1939, but I do not see a record for those years. In 1940, Dayle lived in Pratt, Pratt County, Kansas and was minister of the Christian Church. Sometime between 1940 and 1942, Dayle married Mildred J. “Suzy” Riley. Suzy was born April 3, 1920 in Fowler, Meade, Kansas. In 1942, Suzy gave birth to her and Dayle’s son, Robert Dayle Schnelle, Jr. That same year, Dayle Sr. enlisted in the Army on September 27, 1942. 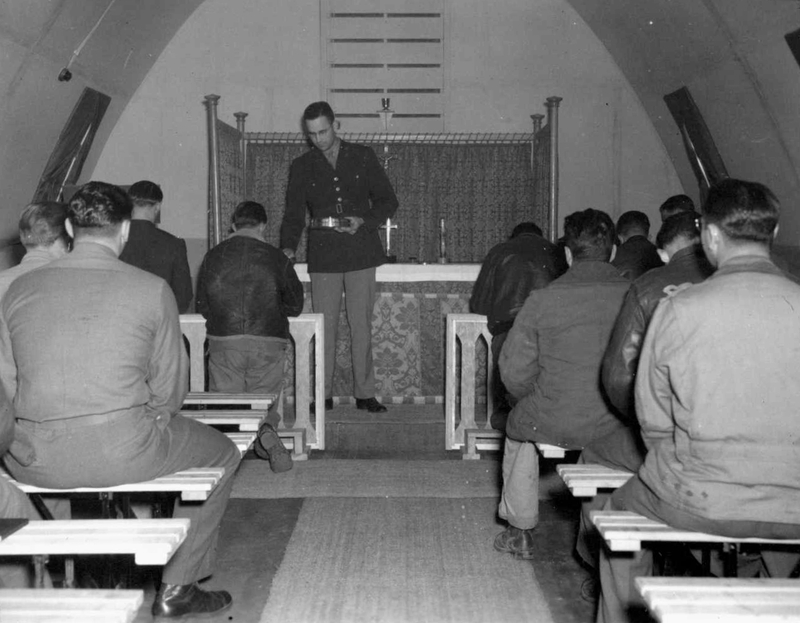 He would serve as a Protestant Chaplain of the Army Air Forces. According to 384th Bomb Group records, Dayle Schnelle was Presbyterian and came from the 33rd SCS, which was under the sub-depot. 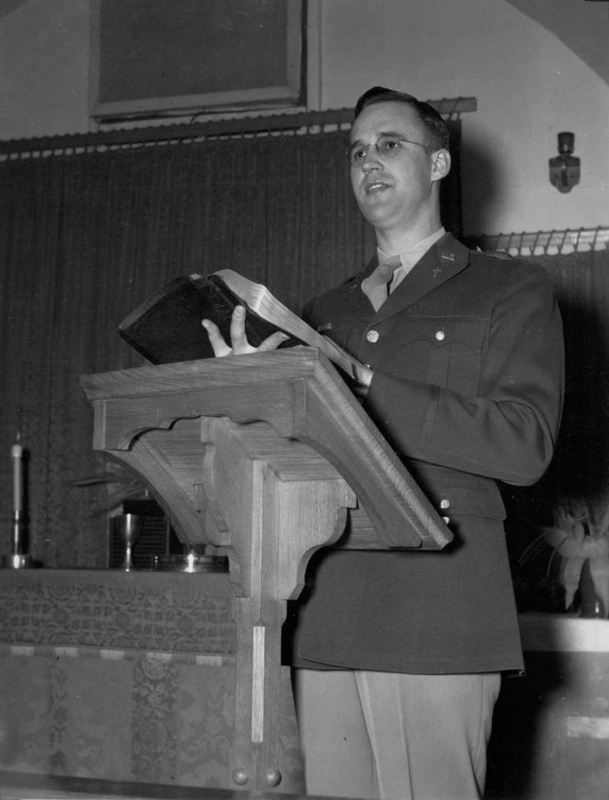 He was an original chaplain to the group and served with them until the end of the war. He was released from the service on November 24, 1945. 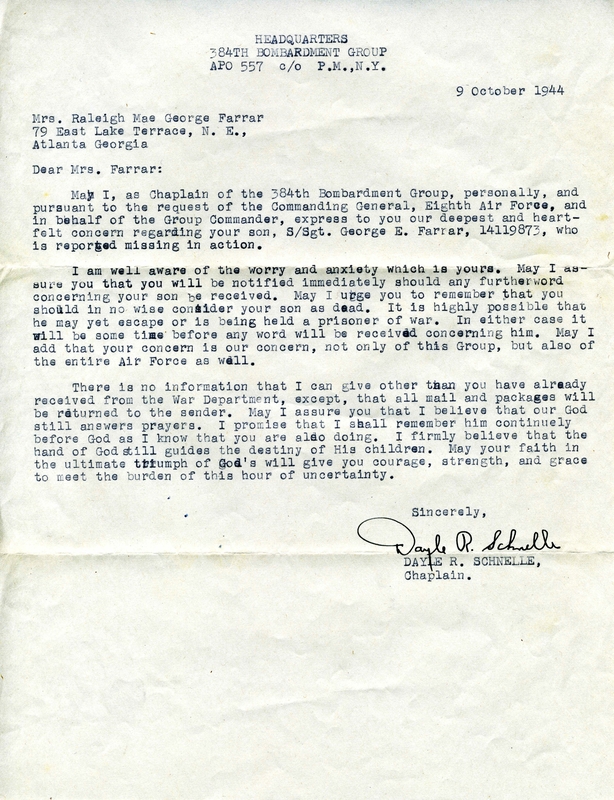 During Dayle’s tenure with the 384th, he had occasion to write an MIA (Missing in Action) letter to my grandmother. Because of a world war, Dayle was not able to watch his young son grow up in the first three years of his life. Then two years after the end of Dayle’s service, his son Robert Dayle, Jr. died on November 8, 1947. Dayle Jr. is buried in Greenlawn Cemetery in Pratt, Pratt County, Kansas. From at least 1949 to 1954, Dayle and Suzy lived in Arkansas City, Kansas. He was minister of the Central Christian Church. On April 2, 1951, Dayle and Suzy were blessed with a second son, David Michael Schnelle. Over the next forty years, Dayle and Suzy lived in other parts of the country including Great Bend, Kansas and Colorado. Dayle lost his father, Robert Wesley Schnelle, on July 6, 1970 in Medicine Lodge, Barber County, Kansas. In the 1990’s Dayle and Suzy lived in Alvin, Texas. Their son David was also living in Alvin, Texas when he died on March 3, 1993. Dayle had outlived both of his sons. A year and a half later, Dayle Schnelle died on September 10, 1994 in Alvin, Brazoria County, Texas. He is buried in Greenlawn Cemetery in Pratt, Pratt County, Kansas. Suzy died on December 6, 2014 in Alvin, Texas. Thank you to Keith Ellefson, 384th Bomb Group Researcher and Combat Data Specialist, for contributing to this story. By thearrowheadclub in 384th Bomb Group on September 6, 2017 .